Wolves Heroes » Blog Archive » That’s What You Call A Big Move! That’s What You Call A Big Move! Darren Roberts during a pause in this summer's Masters action in Birmingham. 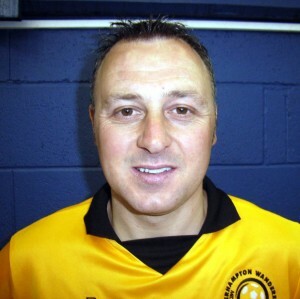 Former Wolves striker Darren Roberts is to emigrate to Australia at the end of this summer. But he and his family have delayed their departure a few weeks so he can have a last hurrah at the grand final of the Masters tournament. The 39-year-old was part of the Wolves squad who won the title last year and then lifted the Midlands crown again at the NIA in June to reach the big night at Liverpool’s Echo Arena on Sunday, September 6. “We were going to leave England in August, so now it’s just a case of going a few weeks later,” he said. “We’ve been thinking about this for a long time since we went out there on holiday in 2005 and fell in love with the place. “We’re going for the healthier lifestyle and are settling in Melbourne with the aim of getting full Aussie residency in two years’ time. 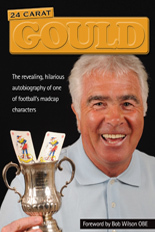 “I’ll have my last fling at the Masters on the Sunday, then we’re leaving our home near Sutton Coldfield the following week. It’s a big move but we’re all looking forward to it. “I work as a gas engineer here and, although I haven’t got anything lined up over there, I can turn my hand to a few things and am prepared to just buy myself a van and get started in something or stack shelves in a supermarket if need be. 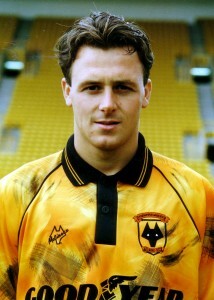 Roberts’ five goals from 24 games as a Wolves first-team player in the early 1990s included a sensational televised hat-trick at Birmingham. 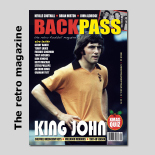 The young buck in 1993 before leaving Molineux on a lengthy trawl of lower-division clubs. It was a particularly sweet afternoon for him as a lifelong Aston Villa fan but scoring goals isn’t the only sporting matter on his mind this summer. He also hopes to arrive Down Under with some bragging rights from the 2009 England v Australia Test Match series. “The last time we went was just after England had got their hands on the Ashes and it would be great if the same happened this time,” he added. Posted on: Friday, July 31st, 2009.